While running latest game at unnecessarily high settings is fun enough, sometimes you need hard numbers to validate your purchase. 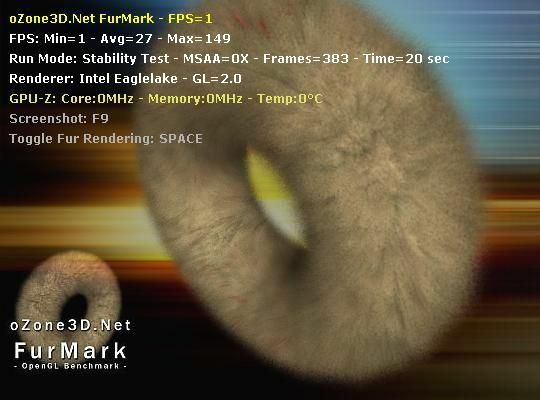 FurMark is simple and fun video card benchmark, that also can (with help of GPU-Z) test system stability. 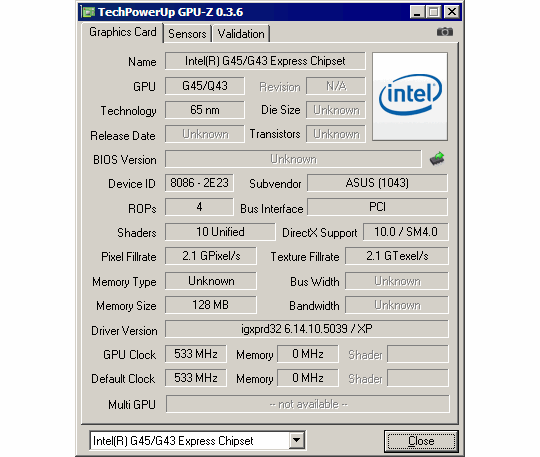 App is portable and straightforward utility that displays technical info about your video card. On top of providing those obscure details it will also detect (if possible) dynamic video card parameters (like temperature) and FurMark will automagically make use of those, as long as GPU-Z is running. Do you remember last time you had played game packed full of cool fluffy/furry creatures in awesome 3D ? Probably not, because rendering fur is insanely complex operation. benchmark that runs for specified number of seconds or frames rendered to get that much desired score number and optionally submit to online database. Window/fullscreen resolution can be customized from interface or from command line (see Run-Multiple-Tests.bat example in program directory) to run tests in bulk. MSI Kombuster is also good for stress testing a GPU. While it’s based on Furmark, it’s stresses the GPU a little more.